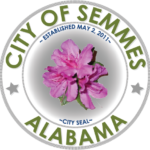 The Finance Department is responsible for the administration and coordination of all financial services for the City of Semmes under the direction of the City Clerk and Mayor. The goal of the department is to provide reliable management information to other departments to assist them in achieving their goals and objectives while increasing the efficiency of the services they provide for the citizens of Semmes. The Finance Department manages the accounting activities for the city, and is responsible for payroll, account(s) payable, purchasing services, investment activity, and financial reporting. The Finance Department also provides detailed descriptive monthly and annual financial and audit reports to the Mayor and City Council. These detailed reports include expenditure, budgetary compliance, and the collection of revenues. The City of Semmes Finance Department is audited annually and copies of the annual audit will be posted to the transparency portal upon completion. Financial documents and reports can also be found on the Transparency Portal.